Bachelor of Fine Arts with Honours in Animation and Visual Effects is a four-year programme. Applicants can apply for admission to Year 1 or Senior Year. # SSSDP subsidy is not applicable to non-local applicants/students of this programme. * Applicants will be considered for admission to different years of the study programme depending on individual academic merits and other relevant factors. Senior year entry applicants/students of this programme are NOT eligible for subsidy under SSSDP. This programme provides students with an in-depth, holistic education which serves to both cultivate their creativity and provide them with the practical skills necessary to achieve technical mastery in the art of animation and digital visual effects. The goal of this programme is to prepare students for advanced work in the creative industries. The programme focuses on seven areas: world arts and aesthetics; drawing and painting; creative storytelling; 2D/3D animation; character animation; media production; and digital visual effects. Students are assessed continually on the quality of their assignments, projects, essays, reports, presentations and/or examinations. There are special facilities for this programme — a drawing studio, two computer animation laboratories, one visual effects (VFX) studio and two sound mixing control rooms. Students in this programme can also access other facilities, such as the film editing laboratory, multipurpose art studio ...etc. The graduates of this programme will have a broad range of employment opportunities in many creative arts fields, such as film, TV, post-production, game, net media, publishing, advertising and art education. 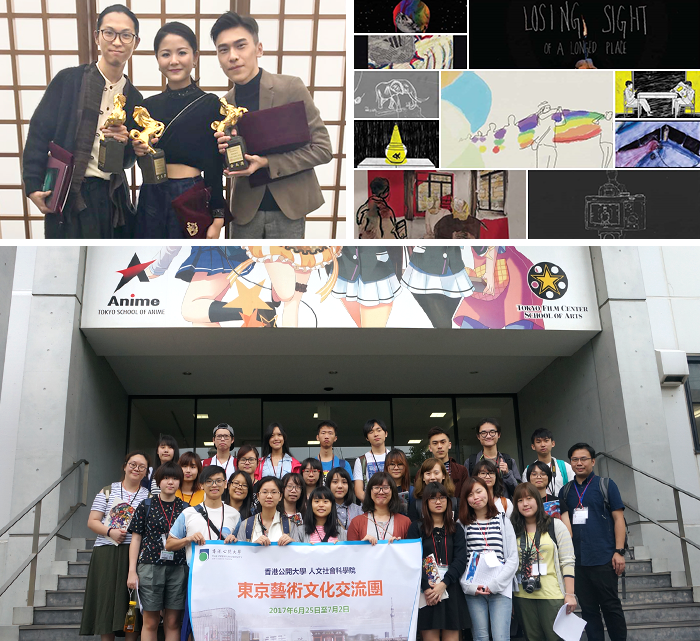 Opportunities for postgraduate studies in animation arts and related fields are available in Hong Kong and abroad. Graduates are eligible to apply for professional membership of the Association of Motion Picture Post Production Professionals, the Hong Kong Society of Illustrators, ACM SIGGRARH (Association of Computing Machinery Special Interest Group in Computer Graphics) and other professional bodies. For more details about the programme information, please refer to the programme website. 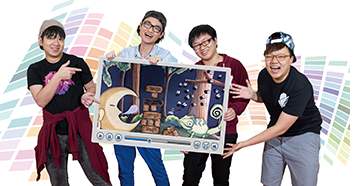 With their collaborative animation piece entitled Jenga in nature, five Year 2 students from the Bachelors of Fine Arts with Honours in Animation and Visual Effects programme received a merit award in a stop-motion animation competition sponsored by the Quality Education Fund. The winners admit that they were not particularly enthusiastic about animation before joining the OUHK. But what they have learned so far in their studies has opened their eyes, and they have all developed a passion for the subject. In the past two years, they have spent a number of all-night sessions at the University studio with their teammates. ‘We are so lucky to have found our interest, been given the opportunity to learn about it, and identified a clear goal and direction to aim for,’ they all agree. The group love the University as they are touched by the lecturers’ enthusiasm both for animation and teaching, and have built close relationships with them. The students also hugely enjoy the countless hours they spend in the studio where they devote themselves to their coursework with their like-minded classmates. The students have big plans for the future. They hope to work overseas in animation pre-production and broaden their horizons, look forward to becoming a true animation designer, and wish to create a popular Japanese-style comic and then transform it into animation and join the industry, turning their interest into a career and applying what they have learned in a professional context.